Muddy Stilettos visited us recently and loved what they saw. You can read their full review here. What? Where? 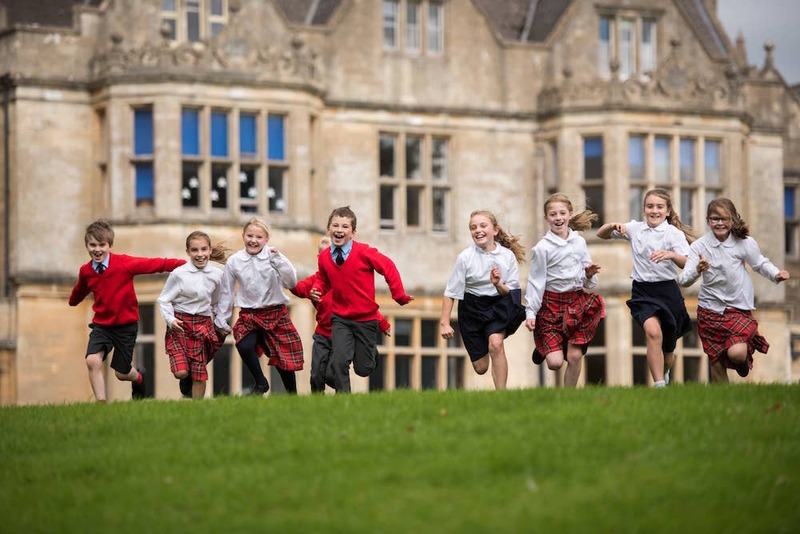 Hatherop Castle is a co-ed, day/boarding prep school for children aged two to 13 located in a Cotswold Area of Outstanding Natural Beauty around 20 minutes’ drive from Cirencester, Northleach, Stow-on-the-Wold, Burford and Faringdon. The 230-ish pupils have the run of 22 acres of grounds which incorporate lawns, woodland and, I am reliably informed by a pupil, an elephant’s grave! This is not a fanciful notion as the castle was the home of a maharaja in the 1850s and he did indeed keep elephants. Anne Boleyn is believed to have used it as a hunting lodge, Edward VII considered it for his country dwelling (he opted for Sandringham in the end) and during the Second World War, special forces training to be parachuted into Nazi Germany were secretly stationed there. It became a girls’ senior school in 1947 and a co-ed prep 27 years ago. The school has clearly been going great guns since our visit a year ago, upping its game academically and on the sports field, and with some seriously shiny new facilities. Facilities: The Hogwarts-style main building presides over pristine lawns, including an Italian garden leading to a charming outdoor storytelling space that in the summer is framed by rose climbers. Nearby is an adventure centre with climbing frames and a wooded forest school area where, on the day of my visit, Prep 2 were following in the footsteps of Charles Darwin and searching for new species as part of their Explorers project. 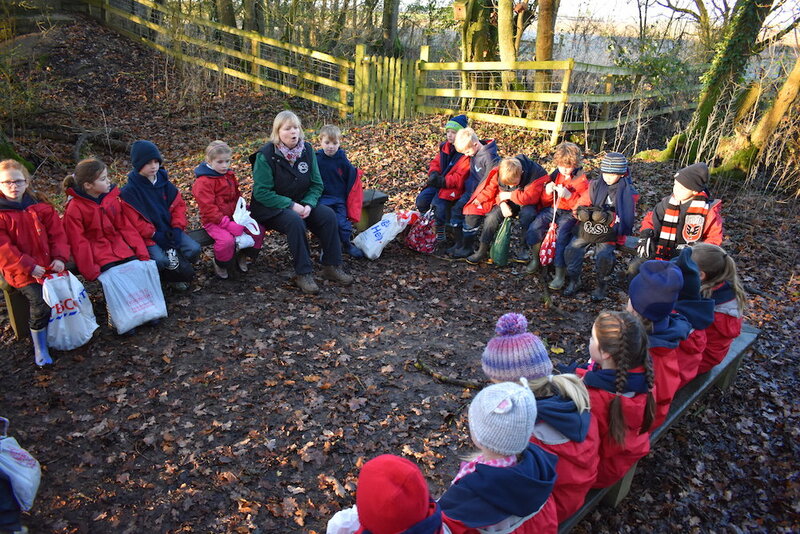 The head, Nigel Reed, is keen to promote both outdoor learning, as well as creative curriculums that draw different subjects into a topic keeping things practical and not just textbook based. 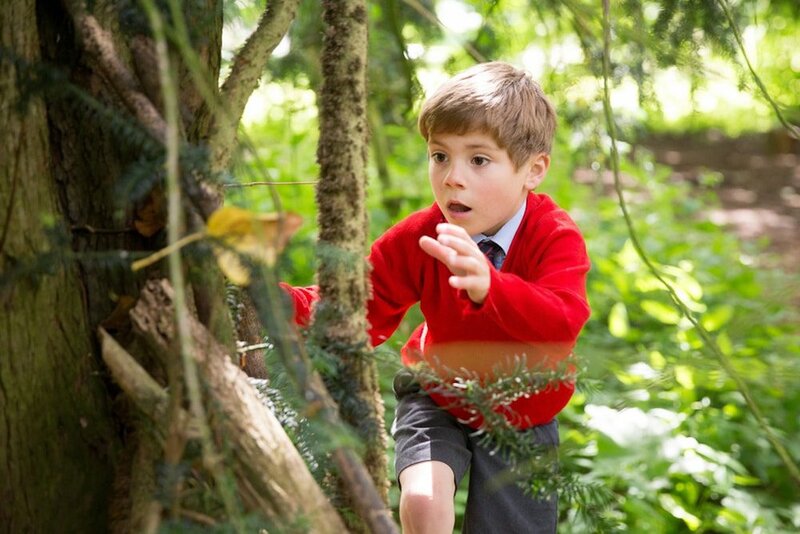 There’s plenty of space for sport – cricket, rugby, football, hockey and netball (Mr Reed has a PE background and sport is taken seriously while at the same time being inclusive) – tree-climbing and make believe. A group of girls told me they have a favourite glade where they dream up fairy-tale narratives – and who wouldn’t with the magical history this school has! I wouldn’t be at all surprised if Hatherop is harbouring the next JK Rowling. 2018’s grand plan was the massive unused walled garden being turned into… wait for it… the most monumental AstroTurf pitch. Opened only a few months ago, this floodlit paradise is even used by parents in the evenings for Mums’ Hockey! At the far end of the new astro is an as-yet-untouched area, which is flagged to become the Pre-Prep play area, complete with vegetable garden, compost heap and, if the children get their way, the future home of chickens and donkeys. Plans for 2019 include refurbishing the delightful stable block for Pre Prep, as well as moving the main library from an unprepossessing cupboard to a rather grander wood-panelled room downstairs. Class sizes are small, ten to 15, and pupils are treated as individuals, encouraged to step out of their comfort zones, and find and pursue their passions. There are two classes per year up to Year 6, with one class each in Year 7 and 8. It is a small school and even smaller in the top years (currently Year 7 has a cohort of 16, Year 8 has 12 children and last year’s Year 8 only 10) however the school is growing and is looking to expand to two classes in the upper years. 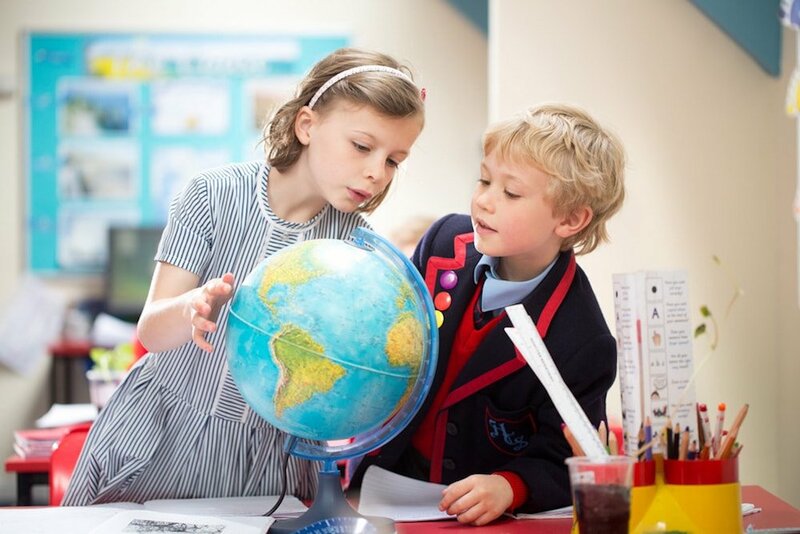 A great many children start in the nursery and go all the way through to Year 8, after which, being an unaffiliated prep school, the world is their oyster and the school takes great care in helping parents find the right senior school for their child. 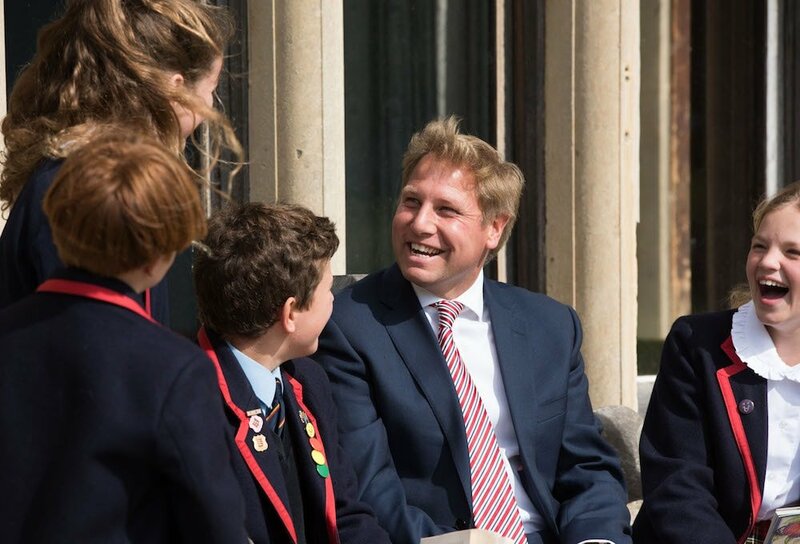 The head works very hard to get the children into the right school for them, with many pupils going on to Cheltenham College, Dean Close and Malvern College, with others to Marlborough, Cheltenham Ladies, Brighton College, Bradfield and Radley. Scholarships are in abundance and this year a sports scholarship to Wycliffe and a drama scholarship to Malvern have already been bagged. Last year there were 5 scholarships (in a year group of 10). Change is on the agenda academically, with a huge amount of work being done on the curriculum. In September 2018 the head designed a new timetable, expanding lessons to a longer 50 minutes and getting rid of double lessons. Children are given five minutes between classes – the school is on a large site and it didn’t take him long to realise that an awful lot of learning time was being lost as pupils pegged it from class to class! This academic year has also seen the introduction of HILT, Hatherop Individualised Learning Time – 50 minute sessions three times a week straight after lunch. Subjects of learning are created with the individual in mind, and include areas such as mental maths, challenge maths, art scholars, advanced sport, verbal reasoning in preparation for the 11+, sessions for academic scholars and even working on questions that might arise in the science CE exam. It’s a real opportunity to explore outside of the box, and to enhance and support existing subjects. Pre-Prep are included in this too, with phonics and spellings taught in mixed groups of Years 1 and 2. A new creative curriculum has been brought into Pre-Prep, with a termly topic that includes geography, history, creative writing and art. This term is Superheroes, with Houses and Homes on the agenda after that. Head Nigel Reed is passionate about moving away from exams at a younger age, and is more interested in exploring the skills of collaboration, critical thinking and creativity with his younger pupils. Common Entrance is still on the agenda, although Nigel isn’t a great fan of it. Having said that, he does appreciate the academic rigour CE gives children, pushing them to a high standard, so rather than ditching it completely like some Preps, he has gone halfway house, sticking with maths, English, science and a foreign language, but moving history, geography and RS internally. These subjects are examined but they are also tested in other ways with presentations, projects and essays. At Hatherop they allow themselves the flexibility to go off piste – for Remembrance Week in November the children built their own trench, went over the top and experienced what it was like living in one (Nigel is a big believer in reenactments.) When asked if he is dumbing down academics the firm answer is no, and he’ll be right – with so many senior schools behind the move to relax CE exams in Preps it has to be worth taking seriously. Boarding: Most of the pupils are day boys and girls, but the school does offer full boarding, weekly boarding and flexi boarding. Hatherop is throwing itself into smartening up the boarding house and unsurprisingly boarding is becoming more popular, as shown by the fact that several classrooms are already earmarked to become boarding spaces. 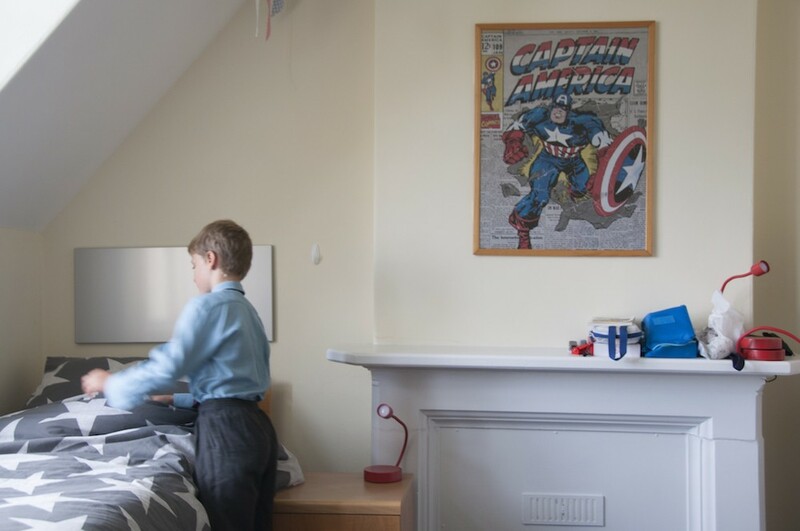 The boys’ dorms were the first to get a makeover, with funky mix-and-match duvet covers and soft furnishings giving them a new lease of very smart, colourful life. The girls’ dorms are all set to follow this term. Many day pupils choose to flexi board, and I get the sense of the boarders being one big family having a great time in the evenings, rather than a few dribs and drabs left at school or the opposite: great floods of children bedding down. The boarders have their own living room to do prep in or watch movies. Weekends involve trips to London to watch Matilda, Cadbury’s World, go-karting, Go Ape, trampolining, hoverboard races, smoothie competitions or crazy scooter Olympics down the corridor. Headteacher: Nigel Reed joined the school in September 2017, only the second head in Hatherop’s 27-year history, so unsurprisingly significant changes have already been made and he has more up his sleeve, including growing boarding and pupil numbers and putting Hatherop firmly amongst the big boys when it comes to applying to senior schools. However, he’s definitely not going to mess with the strong family ethos. On my visit, a Year 6 girl told me, “The best thing about this school is you’re all a family”, which is educational star dust. He is rightly proud of knowing every child and every family at Hatherop and is very aware that if the school grows too large (it will never grow beyond 280, I am told) then the close-knit community will become diluted. Mr Reed lives at the school with his wife and their two boys, who are in Year 5 and Year 2. He’s a teaching head (computing) while his wife helps coordinate forest school, covers early years’ classes and also offers weekly emotional literacy sessions to any pupils needing extra pastoral care. As a team, they’re very impressive and it feels like they’re following their vocation not their career. Word from parents is that he has settled in extremely well and is a popular head, being very visible in the car park in the mornings and on the sidelines for Wednesday matches. Nursery children also love his Story Time. I was remarkably impressed by him – he has understood the ethos of Hatherop and brings a forward-looking, progressive energy to the school. He encourages good table manners, mature conversation (and loves a good old handshake at the end of the day) but most of all wants children to be happy in their own skin. He knows that Hatherop can absolutely support a very bright child to be their very best (and go on to the very best senior school) but is also aware that Hatherop hasn’t always done this and he needs to prove himself. What else? 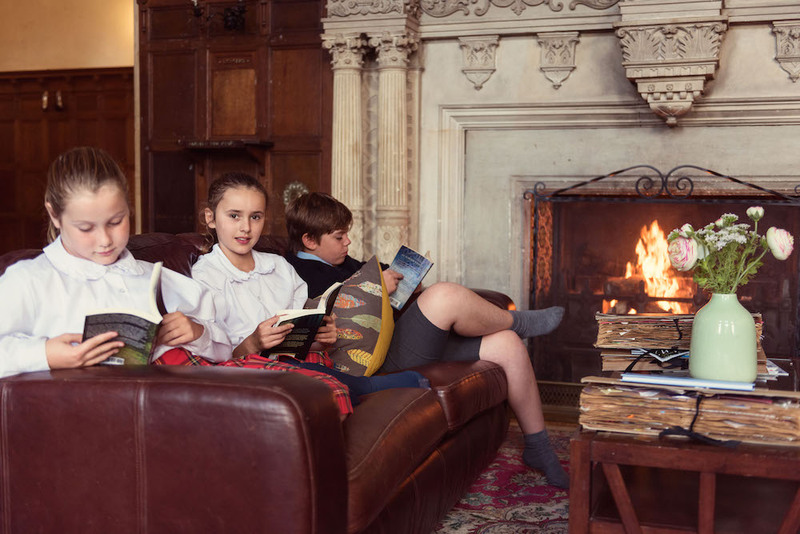 In line with the school feeling like Hogwarts, it offers what it calls the Cotswold Flyer, a free, escorted service which carries boarders to London Paddington on a Friday night and brings them back to school on Sunday evening. The school has been an award winner at the Lego Robotics Championships for the past two years, so the pressure’s on to make it a hat trick. The list of other extra-curricular clubs is long – from yoga, ballet and Scottish dancing to dissection and cooking clubs, girls’ and boys’ rugby, choir, art club, speech and drama and Fencing, with children competing at every level. A chapel service every Friday at 4pm at the local parish church is a lovely way to end the week, and parents are drawn by the visiting speakers, usually heads and registrars of senior schools. I particularly noticed how seriously wellbeing is taken here, with the Hatherop Haven, a cosy room with sofas and beanbags available for children (and parents) to pop in for a chat at any time, plus the children take part in regular mindfulness sessions. Quirks: Being a castle, the main building has impressive wood paneling, a huge open fire in the entrance hall, impressive murals, glorious views and a very grand drawing room where pupils can practise fencing, learn to tickle the ivories on a grand piano (peripatetic teachers will come and teach pretty much any other instrument a child wants to learn as well) and enjoy match teas – parents are politely asked to remove their wellies so as not to soil the French blue carpet. Clay pigeon shooting is one of the more unusual sports on offer. And another reason to gaze skywards is to watch the Red Arrows practising manoeuvres a Year 6 boy told me excitedly. Red kites also fill the sky in the summer and all year long owls serenade the school at night. Wraparound care: Excellent – you can basically leave your child at 8am for breakfast club and pick them up at 6.30pm if you need to. And you’re covered in the holidays too, with the nursery open 50 weeks of the year and the school offering holiday clubs during the vacations. Nursery starts for children aged two. Fees: From £2,195 to £7,895 per term. Find a full list of fees here. Good for: Parents who want their kids to remain childlike for as long as possible and believe children learn through being happy not hot-housed. Families who live in a city and want to give their little ones a countryside childhood. Having said that, the school is becoming more academic, if I may say so, while still determined to maintain its close family feel. Not for: Parents who wrap their offspring in cotton wool – here, children are encouraged to play outdoors in all weathers, climb trees, get muddy building dens and generally live out an Enid Blyton fantasy. For those who want a very traditional, formal schooling, it’s probably not for you. While the school has a reasonably traditional feel, its education is progressive. It might not be the place for an uber-sporty child. While the sport here is strong it is very much for all, and not necessarily set up to provide a fast track to Wimbledon. Dare to disagree? 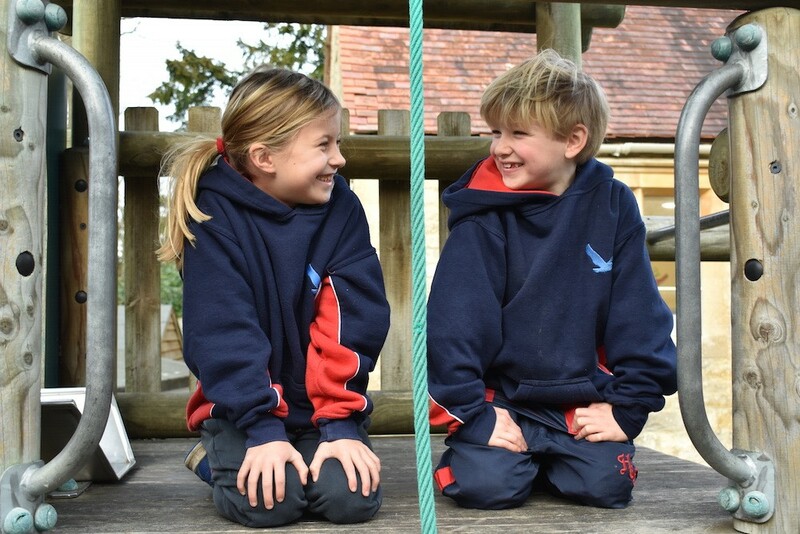 You can arrange a visit at any time, but the next Open Mornings are Thurs 14 Feb and Sat 18 May. 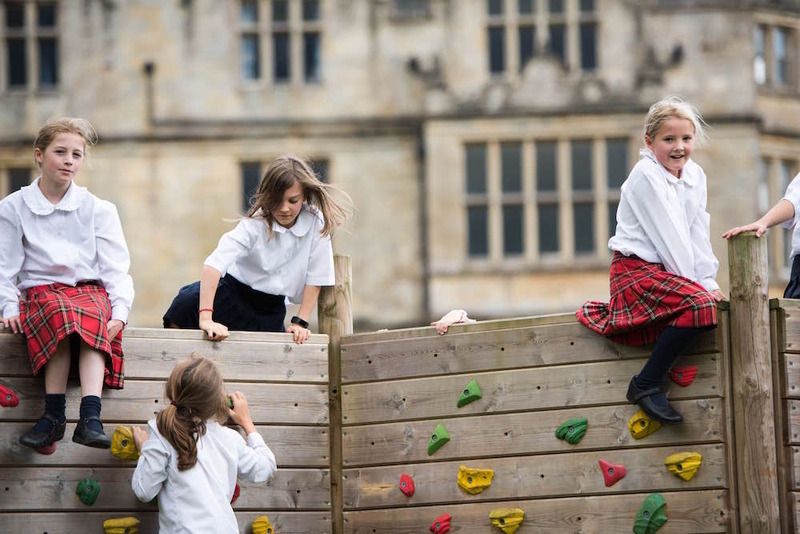 They do Open Days brilliantly here – think themes such as A Voyage of Historical Discovery where prospective pupils go on a journey through Hatherop Castle’s early monastic days, through Tudor plotting and onto its time as a Second World War training camp for the Danish resistance. You get to play Cluedo in French, join the Danish resistance and become WWII code breakers, discover what life was like for monks when the Castle was a monastery, and sample Indian delights. If you don’t want to come here after all that, I give up!